The Bible is full of stories of ordinary people who were used by God to save lives, overcome oppression, and alter the course of human history. Join us for these inspiring stories, and gain insights into your own personal spiritual destiny. * Sunday July 1st only we will join all the other ministries of the Coastal LA family of churches for an outdoor worship service. El Dorado EAST Regional Park. 7550 E Spring St, Long Beach, CA 90815. Jumpers and reptile farm for the kids. $7 cash-only parking, bring bag chairs. Joseph had a rough life from a young age: Sold into slavery, falsely accused, thrown into prison, forgot by his cell mate. His faith and love for God is what sustained him and allowed him to rise to an extremely powerful position in one of the most powerful nations in the world. Regardless of his situation, his integrity stayed strong and he remained loyal to God. Even as disciples, disagreements can some time arise. John Mark and Paul had such a disagreement that caused them to split ways and John to temporarily abandon his mission. Eventually he corrected himself to them point where Paul praised him for the work he did. As disciples, we can stumble in our faith, but we can always come back and change our ways. Esther was a unique case in the scriptures. She was picked to be queen by the king, having no royal background at all. Given her position, she worked to be a humble servant to the king, as well as to her people. She was able to get many things for her people, even at the potential cost of her own life. A humble person thinks not of themselves first, but of how they can help others out. If we all are humble, we will meet the needs of others, but also get our needs met by others. Gideon was about as ordinary as you can get when it came to judges in that time. 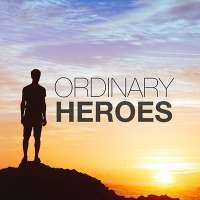 He was given impossible odds, but because he obeyed God, he was able to be successful, He may have "appeared" to question God, but honored his courage to ensure he was obeying properly and leading God's people properly. He was nothing special as a person, but did many amazing things because God used him powerfully. Timothy may have been a kingdom kid, but that does not mean he knew it all. Paul mentored him, especially when he was put into a leadership position. He had a very strong spiritual upbringing with both his Mom and Grandmother being disciples, but that does not guarantee that he will have the same spiritual values. He had to learn the on his own. Whether you have come into the kingdom fresh, or live among it all your life, God still needs to be a personal relationship for you. The Bible is replete with ordinary people that God used to further His kingdom in various ways. In the earliest days of the scriptures Enoch was a man that was described as 'walking with God' and 'pleasing God' We don't know much more about him, but we do know that God did not allow him to die in the traditional sense. He was simply "taken'. Any of us can have the same said about us.